Does not include all areas or even the state I sell in, I confirmed with my local go to title company that Chicago title was a firm they wrote with but to my surprise this app does not offer my State, huge disappointment!!!! I hate real estate math. 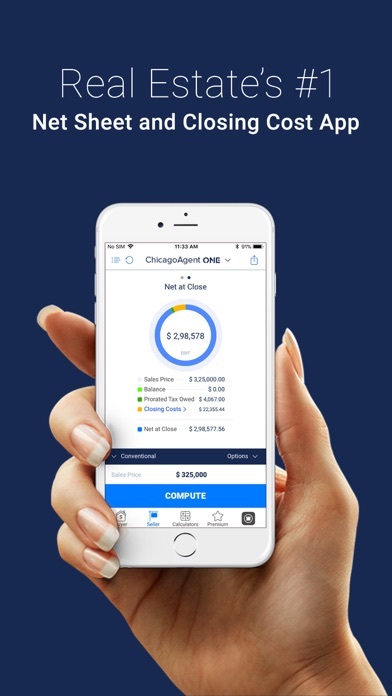 I have been a Title Sales Rep offering this app, ChicagoAgent, for over 16years. Originally the app cost $149.00, and then you still had to buy a PalmPilot for another $100.00. Now, the app is free. In all these years, no ChicagoAgent user has ever called me saying this app cratered a deal. 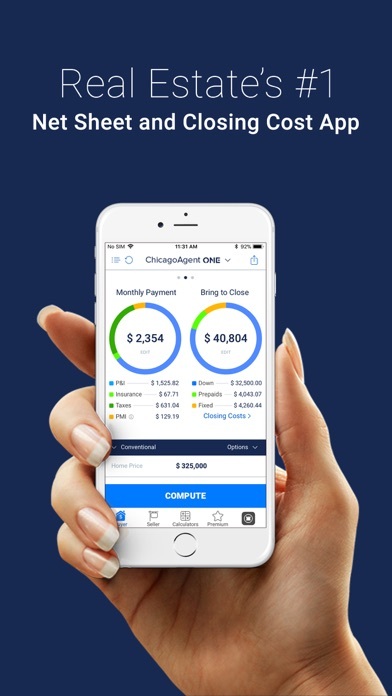 ChicagoAgent is the real deal for all necessary numbers needed to show a buyer his move-in costs, and a seller their net proceeds. And don’t get me started in the Premium features. I wouldn’t have the bandwidth to do so. The first version was great!! This new one does not work. Does not calculate commission, net seller proceeds or function correctly. Do not send any of the reports to a clients they are wrong. Especially useful when working with sellers who want to net a certain $$ amount. It’s quick & easy to use at open houses & people are amazed at what they can see in a very short period of time. Jim Oviedo loves this app!! I use this app often to provide buyer clients with quick payment estimates. It’s particularly useful when prospective buyers contact me about a property, and I can determine whether the purchase will be workable. It seems like title insurance estimates are missing, but it shows up under “detailed closing costs” when the calculation is complete. Wonderful, easy to use for my clients and anyone needing a quick quote on current rates. Thanks Chicago Title ! Florida is not an option on the Selected States. :-( It would have been nice to know there are only certain states this app works with prior to downloading and inputting information. This app is amazing!!! Instant access for agents to help their clients understand where their money is going!!! I love it!!! Great resource for agents to give clients instant info.